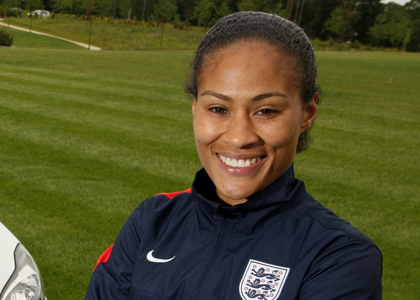 “I really enjoyed playing with the boys and I wouldn’t change that time even if I could have it again. 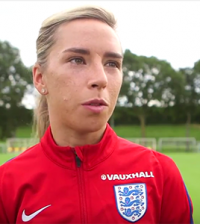 For me it was all about being treated as a footballer and being judged on my skill. 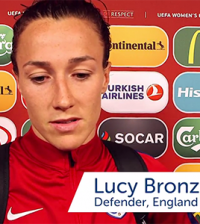 “I know how much better England could be if we had the chance to be fully professional. 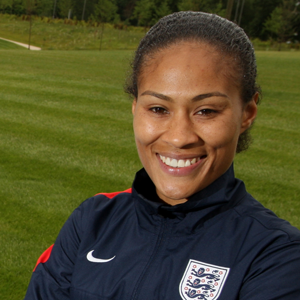 I played professionally for three years at Fulham, it was a massively ground-breaking time and I loved it. Rachel has also experienced playing abroad a couple of times, once as a youngster when she went to Canada to play for Laval Dynamites, and again to play for a short time in the USA for the New Jersey Wildcats. 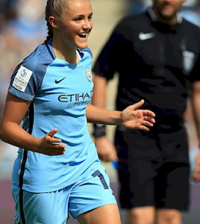 So as England prepare to meet Olympic silver medalists, and current World Champions Japan, as part of their build-up to the European Cup in Sweden this summer, what are Rachel Yankees career highlights? “Winning the quadruple for Arsenal was a major highlight, no other English team has been able to do that and we managed it against all odds – we really had to fight for it. 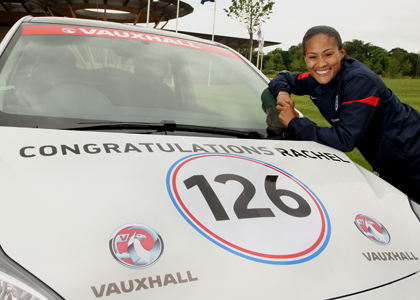 Rachel Yankey was speaking on behalf of Vauxhall the England team sponsor.